Holiday season starts in mid-November here at Drummers Garden Center and Floral! Christmas Trees, as well as spruce tops, evergreen bundles (cedar, pine, juniper, etc), and more start showing up for us to start getting into the Holiday cheer. We know some of you like to put up your trees early so we have them for you before Thanksgiving! Our Christmas Trees come from Nelson Family Farms up in Wild Rose, WI. Each year we unload a large semi-full, stack by size, and then hang from rafters of our greenhouse. It creates a wonderful way to view the tree in its full open form! Not to mention the greenhouse smells amazing with all the scent trapped inside. This year we decided to pair down to the most popular tree selections and to the ones we believe provide the best value. 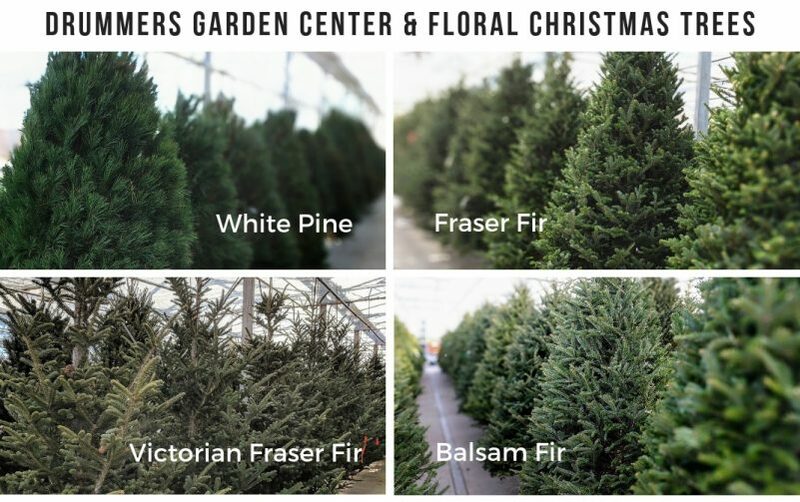 Fraser Fir, Balsam Fir, White Pine, and Victorian Fraser Fir. To help you decide on a Christmas tree this year here are a few attributes of each tree variety. 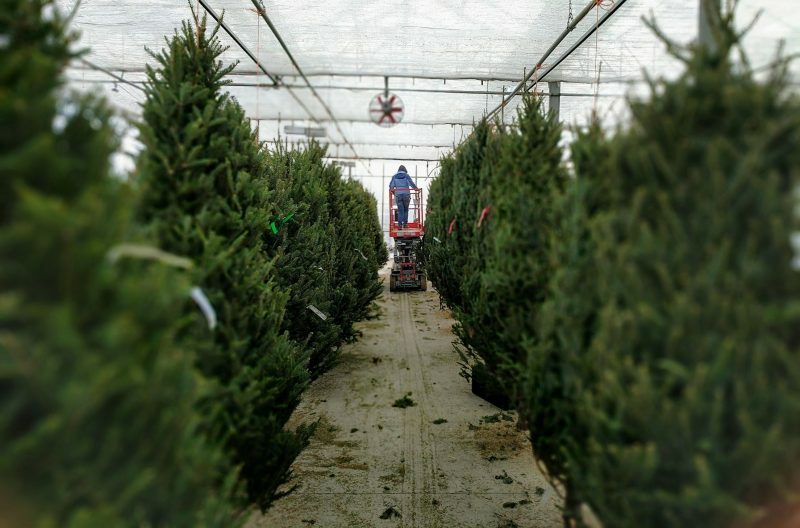 The trees can vary in size 5′-14′ tall also so make sure you measure the height of the room it will be in. White Pine: Size ranges from 6′-8′ tall and have soft, flexible needles that are bluish-green in color. Needles are 2½ – 5 in. long. Not great for heavy ornaments. They have good needle retention. These trees have little fragrance. Great for people who may have allergies to evergreen scent.